A motion class that causes the Actor to move approach a target until within a certain distance, and then stop. This Motion class ignores the room obstacles. 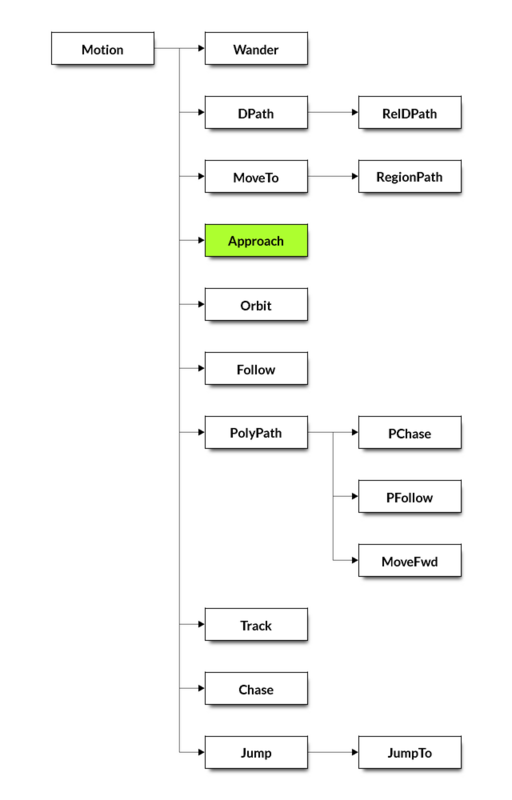 In SCI1.1, if path-finding is required, one would generally use the PolyPath class instead. theWho (heapPtr) – The target object. theDistance (number) – How close the Actor needs to get to theWho before stopping.